JetBlue Airways and Abu Dhabi’s Etihad Airways plan to begin codesharing once they receive the requisite government approvals. 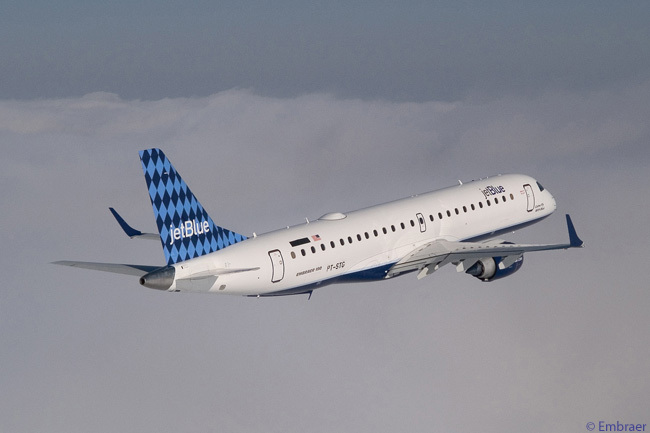 The agreement will see Etihad Airways place its ‘EY’ code on JetBlue Airways-operated flights, initially facilitating connections between the two airlines at New York JFK (IATA code JFK) and Washington Dulles International Airport (IAD). In the first stage of the partnership, Etihad Airways will codeshare on 40 JetBlue routes within the United States. These include JetBlue’s routes from JFK to Aguadilla, Ponce and San Juan in Puerto Rico, as well as to a large number of destinations in the mainland U.S.
At Washington Dulles International Airport, Etihad will codeshare on JetBlue’s services to and from Boston Logan International Airport and New York JFK. Further codeshare services are planned on JetBlue flights from Los Angeles International Airport once Etihad Airways begins daily flights to Los Angeles in June 2014. Subject to receiving U.S. and foreign government approvals, Etihad Airways also plans to codeshare from summer 2014 on JetBlue flights between New York JFK and five destinations in the Dominican Republic, Jamaica and Colombia. These destinations are Bogota in Colombia; Montego Bay in Jamaica; and Punta Cana, Santiago de los Caballeros and Santo Domingo in the Dominican Republic. “The U.S. is a major and growing market for Etihad Airways and this partnership with JetBlue will enable us to offer our guests more options for travel within and beyond the U.S.,” says James Hogan, Etihad Airways’ president and chief executive officer. From its U.S. gateways of Chicago O’Hare International Airport, New York JFK and Washington Dulles International Airport, Etihad Airways offers connections through its Abu Dhabi hub to dozens of destinations throughout the Middle East, Africa, the Indian Subcontinent, Asia and Australia.